Born in Florence in 1956, Lorenzo Bini Smaghi graduated from the Catholic University of Leuven with a degree in Economics in 1978, and two years later earned a Master of Arts in Economics from the University of Southern California and a degree in Political Sciences from the University of Bologna. In 1988 he was awarded a PhD from the University of Chicago. He has been Chairman of SACE S.p.A. and a member of the Board of Directors of the European Investment Bank, Finmeccanica and MTS S.p.A. Between June 2005 and November 2011 he was a member of the Executive Committee of the European Central Bank. Between October 2013 and March 2014 he was a non-executive director of Morgan Stanley International. Since May 2014 he has been an independent director and vice chairman of Société Générale. Since August 2014 he has been an independent director of Tages Holding. He is currently a Visiting Scholar at the Harvard Weatherhead Center for International Affairs. 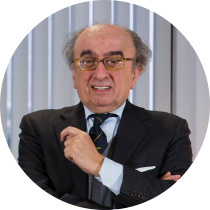 Lorenzo Bini Smaghi is also a member of the “A-List” (a group of commentators for the Financial Times) and is Chairman of the Palazzo Strozzi Foundation in Florence and the Italian Chapter of the Alumni of the University of Chicago. He was Chairman of the Board of Directors of Snam Rete Gas S.p.A. between 1 January 2012 and 26 November 2012. Since 15 October 2012 he has been Chairman of Snam. 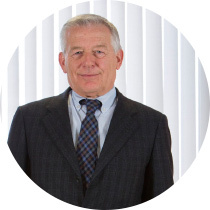 Born in Pavia in 1953, Carlo Malacarne received a Bachelor’s Degree in Electronic Engineering, and, after a brief period at Selecontrol, he began his career at Snam S.p.A. in the gas transportation department. Subsequently, as Telecommunications and Process Systems Director, he assisted the Eni Group in meeting its aim of reorganising its telecommunications systems. In March 1998, he was appointed Constructions Manager, tasked with ensuring that investments both in Italy and abroad were executed properly. In July 1999 he was appointed Network Management Director for Italy. After the incorporation of Snam Rete Gas S.p.A., in July 2001 he was appointed General Manager of Company Operating Activities and Chairman of the Board of Directors of GNL Italia S.p.A. Since 26 November 2012 he has been Chairman of the Board of Directors of Snam Rete Gas S.p.A. 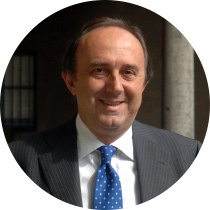 In November 2013 he was appointed Chairman of Confindustria Energia. He has served as CEO of Snam since May 2006. 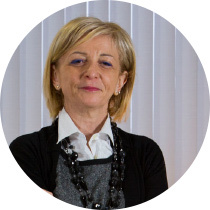 Born in Cosenza in 1965, Sabrina Bruno has been an Associate Professor of Commercial Law at the Faculty of Economics of the University of Calabria since 2002. She obtained a national qualification as a Full Professor of Comparative Law in 2013. She has worked as a contract lecturer in Business and Company Law at LUISS G. Carli in Rome since 2006. She was also a researcher in commercial law at the University of Calabria from 1993 to 2001. Lawyer registered in the special Register of the Rome Law Society since 1991. She was a Fulbright Visiting Scholar at Harvard Law School in 2010. She completed a research doctorate in Comparative Private Law and European Community Law at the University of Florence in 1995. Sabrina Bruno completed a three-year Master of Letters (M.Litt.) degree course at Oxford University in 1994. She graduated with honours in Law at LUISS G. Carli in 1987. 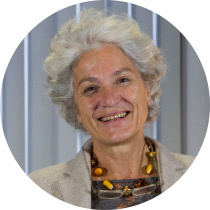 She has been an independent non-executive director and Chairman of the Control and Risk Committee of Banca Profilo S.p.A. since 2012 and was appointed a standing auditor of Telecom Italia S.p.A. in 2012. She has been an Academic Member of the European Corporate Governance Institute since 2014 and a member of the Scientific Committee of the Bruno Visentini Foundation since 2010. She has also been a member of the Italian Linacre Society since 1995. She is the author of two monographs and various articles and essays on corporate law and corporate governance. Born in Bologna in 1947, Alberto Clô is a former full professor of Applied Economics at the University of Bologna. He is Director in charge of Energia magazine and a member of scientific committees for national and international magazines. He was Minister for Industry and Foreign Trade in the Dini government and Chairman of the EU Council of Ministers of Industry and Energy in the first half of 1996. He is currently an independent director of Atlantia and De Longhi. Born in Florence in 1952. After earning a high-school diploma from a liceo classico in Italy, he graduated in Economics and Commerce with the highest grade and honours from the University of Florence. He joined Pirelli in 1978, where, after gaining a range of experience in Italy and abroad, he was appointed Managing Director of the Pneumatics division in 2001, CEO of Pirelli Tyre in 2006 and, in 2009, also Managing Director of Pirelli & C. From 2006 to 2011, for two consecutive terms, he was elected Chairman of ETRMA, the European Tyre & Rubber Manufacturers’ Association. In 2012, he decided to leave the Pirelli group. Born in Baotou (Inner Mongolia, China) in 1965, Yunpeng He obtained a Specialised Degree in Electrical Systems and Automation from the University of Tianjin and a Master’s in Technology Management from the Rensselaer Polytechnic Institute (RPI). 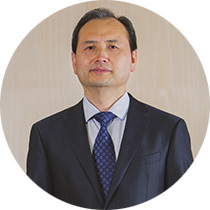 He is currently a director of CDP RETI S.p.A. and Terna S.p.A. and Deputy Director of the European office of the State Grid Corporation of China. He has also held the following senior positions within the State Grid Tianjin Electric Power Company: Vice Chief Technical Officer (CTO) between December 2008 and September 2012, Director of the Economic and Legal Department between June 2011 and September 2012, Director of the Planning and Development Department between October 2005 and December 2008, and Director of the Planning and Design Department between January 2002 and October 2005. In addition to these roles, he was Head of the Tianjin Binhai Power Company between December 2008 and March 2010 and Chairman of the Tianjin Electric Power Design Institute between June 2000 and January 2002. He has been a director of Snam S.p.A. since 26 January 2015. Born in San Benedetto del Tronto (AP) in 1978, Andrea Novelli graduated with honours from the Bocconi University in Milan with a degree in Business Economics in 2002. 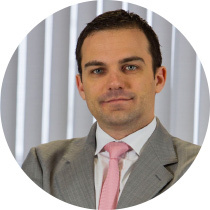 He has been an executive at Cassa Depositi e Prestiti S.p.A. since 2004, and held the positions of Head of the Administration, Planning and Control Department and Executive Responsible for preparing corporate accounting documents at that company from 2009 until September 2014. 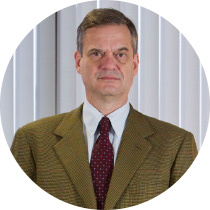 He has been Managing Director of Cassa Depositi e Prestiti S.p.A. since October 2014. Born in Varazze (SV) in 1963, Elisabetta Oliveri graduated with honours from the University of Genoa with a degree in Electronic Engineering. She has held senior positions at a number of multinational companies. 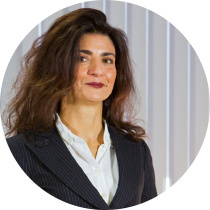 She was initially General Manager and then CEO of Sirti S.p.A. She is currently CEO and Managing Director of Gruppo Fabbri Vignola S.p.A. and a member of the Board of Directors of ATM S.p.A, Gruppo L’Espresso S.p.A., Eutelsat S.A., Banca Farmafactoring S.p.A. and Monzino 1750 S.p.A. She is also the Chairman and founder of the Furio Solinas Onlus Foundation. She is a Knight of the Italian Republic. Born in Morbegno (SO) in 1945, Pia Saraceno earned a degree in Economics from the Bocconi University before undertaking a Master’s in Development Economics at Cambridge University (UK). After a period spent working at Montedison, she joined IRS in 1976 and became a director in 1980, taking over as Chairman from 1998 to 2000. She was CEO of REF from 2000 to 2011 and now serves as the Chairman of REF-E, following its establishment in 2012. She has also carried out research on macroeconomic analysis and sponsored and advised on research into federalism and industry. In 1999 Saraceno set up Osservatorio Energia and began to promote further research into the liberalisation of the energy sector and environmental issues, which in recent years have become her major areas of interest. Saraceno also has an academic career: since 2011 she has taught Energy Economics and the Management of Environmental Assets on the Master’s course in Economics & Management run by the Catholic University of Milan.